It’s so easy to get distracted on your business journey, trying new things, losing track of where you are going and falling victim to paralysis by analysis. Sound familiar? Or worse still you are doing everything you should/need to do, your business is building but you feel flat and unfulfilled. It can be so disheartening to discover you have everything you thought you wanted but you still feel far from happy. A lot of these issues are down to a lack of decision making power and being out of alignment with what you truly want. Enter your values. Getting clear on my personal and business values was the most important thing I did for my business and it gave me the confidence to make decisions, take action, make mistakes and succeed. Your values act as signposts to understand what really matters to you and your business and they should shape every decision you make in life and also your business. So pretty important then!! So how can you get clear on what your values are? 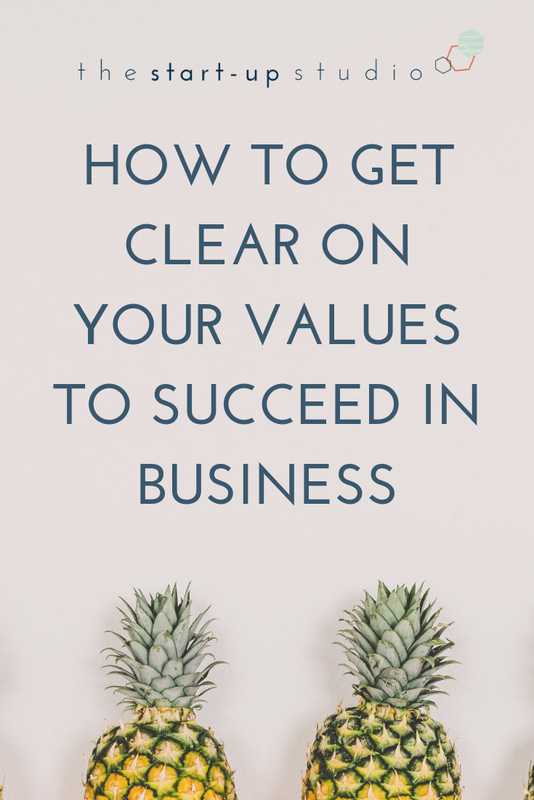 Check out the rest of this post to find out the secret to using your values to succeed in business. And you should definitely grab your free success plan and mini training which takes you through the exact proven steps I’ve used with hundreds of entrepreneurs to get them unstuck and taking powerful action in their businesses. Values are the centre of what you want to be, how you want to live your life and how you want others to feel around you. They’re your secret weapon for quick powerful business decision making. They provide a framework to live and work by. If you make every decision so you live in line with your values then you don’t have to worry about the overall destination, you instinctively know you are on track. They are also an indicator of your gut instinct which as we know is a real decision making force. Without them you end up out of alignment with your values and it can be hard to find the motivation needed to keep going with your business. The good news is that you already know what your values are, it is just a case of tapping into them and putting words to them. Usually personal and business values are very similar, as small businesses we usually are our businesses. However I try to have fewer business values as it is easier to apply them more consistently. The first step is to get away from your computer, do something which relaxes you and gets you out of work mode. We are trying to listen to your gut instinct so it’s important to feel relaxed and free. Go for a walk, enjoy a coffee, meditate, go to the gym, have a shower (don’t laugh, I come up with my best ideas in the shower!!). Once you’ve done that, grab a pen and paper and write your answers to the following questions. Jot down everything that comes to mind, don’t filter. There are no right or wrong answers and definitely no judgement, just write what feels good for you. Try to imagine you have never thought of about these topics before, that you are a total beginner. Think about a time when you were completely full of joy, what was happening? what was making you happy? Think about a time when you were upset or angry, what was happening and what was upsetting you? What characteristics do you value in friends/family/partners? What do you really like about yourself? What is the most important thing in your life at the moment? What do you want from your job/business? What do you fear your job/business being? Name two people who inspire you. What is it about them and their life that you like? Once you have answered the questions you should start to see a pattern emerging of what's important to you and your business. Pick out the value based words which really stand out to you and any words that you repeat such as freedom, authenticity, empathy, laughter. You should have a list. Now the tricky part. Sit with the words for a while, let them tick over in your mind and pick 5-8 values which really resonate. They are the ones which just feel like the perfect description of how you want to live your life. Again sit with your top 5-8 and see how they feel. Do they light you up? If you made every decision based on these values would you have lived a life you love and are proud of? This isn’t a box ticking exercise, you have just discovered the most powerful tool you have for building and growing your business. It’s time to put them to work. Every time I need to make a decision, write copy, talk to customers, put out content, keep on track, decide what is noise and what's important and hundreds of other moments in my working day, I always go back to my values. I ask myself, what decision would be most in line with my values? Does this piece of content promote my values? Would that course let me live in alignment with my values? When you follow your values (which represent your gut instinct) it is hard to get off track. Even if you end up at a different end point, you have lived on value so you know the outcome is positive. You now have my proven techniques for discovering your own values and using them in your business. Set aside 30 minutes, get in a good space and answer the questions to start discovering your values. Then tell me in the comments below your values. Want to finally build your dream business? Grab your free business success planner and training. The exact proven steps I've used with hundreds of entrepreneurs to get them unstuck and taking powerful action for business success.